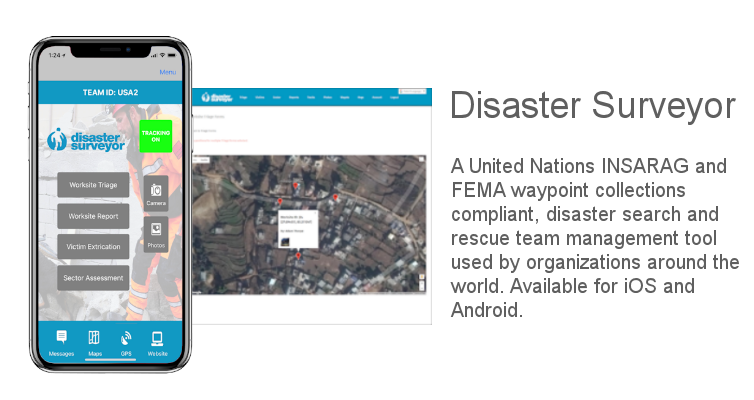 Disaster Surveyor - Digital Wander, Inc.
A United Nations (INSARAG) and FEMA compliant disaster search and rescue system for team coordination and management. Digital Wander has created an iOS and Android app along with a comprehensive team management website tool with subject matter experts with decades of experience in the field. Available for iOS and Android. This entry was posted in Android, Android tablet, iPhone/iPad, Web Applications by digitalwander. Bookmark the permalink.